This is initial place of our Hinthada GTI. 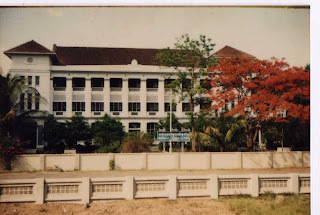 Now it is moved to Ohn Taw, Nat Maw and Upgraded to Hinthada Technological University. Anyway this is our mother land and memorable building. Actually we need to share Knowledge (Technical and others also). We need more pre-planned program for ease of participant and colleges. Also training (sharing knowledge) from well experienced seniors is essential. Thank You for your comment, Ko Phone Myat Kyaw. We are leading to do so. We are inviting every author who can share their Technical Knowledge. If there is anybody who want to share their experience and knowledge pls send your email address to hinthada.gtc@gmail.com. Or just post in an comment. We will invite you to become an author.